Photo courtesy of The University of Arizona Biosphere 2. Scientists from around the world met last week at the University of Arizona's Biosphere 2 near Tucson to determine how changing precipitation patterns will affect the ecosystems that help to feed, fuel, and house modern society. "Changing precipitation patterns will impact the physical, biological, and social systems that maintain biodiversity, reduce wildfire risk, and provide freshwater resources for human uses," said the project's lead scientist, Michael E. Loik, associate professor of environmental studies at UC Santa Cruz. Many scientists have concluded that human-induced global climate change is rapidly emerging as one of the most important societal concerns of the 21st century. They have made considerable progress in understanding how ecosystems will be affected by factors such as rising concentrations of atmospheric carbon dioxide and warming. Yet less is known about how those systems will respond to related changes in rain and snowfall. Scientists have initiated an increasing number of manipulative precipitation experiments throughout the world over the past two decades. The goal is to understand whether changes in precipitation patterns are tied in with the biodiversity and functioning of ecosystems. "Our understanding of the linkages between factors such as widespread drought, a changing climate and the dynamics of our landscapes is growing, but we need a broader perspective that includes the many different ecosystems of the globe," said Travis E. Huxman, director of UA Biosphere 2. One example of this is the widespread die-back of trees throughout North America. This results from many complex interactions between drought, insect outbreaks and changes in fire cycle dynamics. 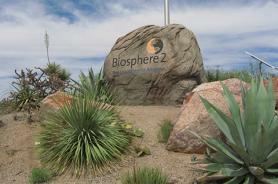 "Biosphere 2 provides the ideal platform from which to launch an effort that interfaces human and natural systems. It is a natural fit with our mission," added Huxman. Scientists at the meeting will be conducting a sophisticated statistical comparison of more than 50 experiments in natural settings ranging from the southwestern United States, to Europe, Israel, China, Australia, and even Antarctica. "As public concern heightens over the impacts of global climate change, an urgent need exists for a sound scientific basis on which to formulate policies regulating greenhouse gas emissions in order to avoid dangerous interference with the Earth's climate system," said Lindsey Rustad of the U. S. Forest Service. "The synthesis products that result from this international collaboration will inform and guide policy makers in their negotiations concerning adaptation and mitigation measures, such as those to be debated at the upcoming UN Framework Convention on Climate Change occurring in Copenhagen this December," said Claus Beier of the Technical University of Denmark. The meeting was funded in part by the National Science Foundation of the United States.